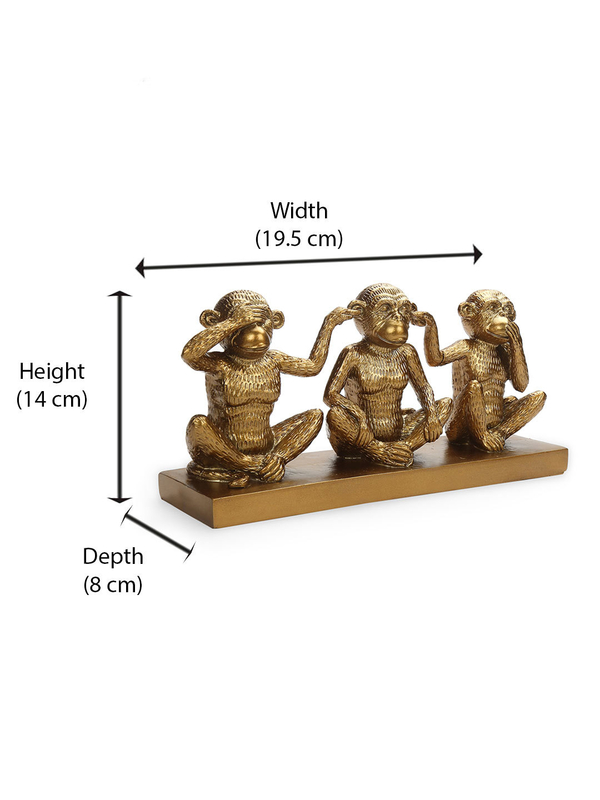 Welcome Mizaru, Kikazaru, Iwazaru the three divine monkeys to spread an aura of zen and positivity in your homes. A unique showpiece holding ancient tales of philosophy around them will engage your guests into discussions of its Japanese origin and Indian tales of Mahatma Gandhi. Made in Polyresin, perfect in size and filled in radiant gold, the three wise monkeys can be placed anywhere, be it your bedside lamp table or the side table in your living room.